Try exploring on a coach trip, a jeep safari or in a hire car. It will probably be the highlight of your stay and you'll understand why so many visitors return year after year. Finally, the locals. Although a little shy initially, the Algarve people are naturally friendly and welcoming. They are, after all, used to travveling themselves - having discovered half the world! Inland Don't miss out on the inland countryside - it has hardly changed in the last hundred years. Surfers enjoy the enormous waves. The present beaches along the coastline consist of sand and are very popular. 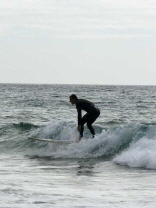 Surfers from all over the world come here to enjoy the enormous waves. Either you would like to plan a holiday or you would like to buy a property here, one thing is for sure. You will find plenty of things to do during your stay. About 500 years ago Portugal was a prosperous country because of the enormous wealth the maritime discoveries brought to the Iberian peninsula. Nevertheless the age of discoveries ended the 16th century and Portugal became steadily isolated from the rest of Europe. After the revolution in 1974 en after the EU membership in 1986 Portugal finally resumed growing again after 400 years. Nowadays Portugal is still recovering from her exile. Because of the exile it seems time has stopped 200 years ago in many parts of Portugal. There are many beautiful buildings to visit which are built during the age of discoveries and which have not been taken in order to replace for modern time skyscrapers. Many of the authentic villages almost show no 21st century characteristics. The larger cities like Lisbon and Porto are being modernized in an agile pace. Sport is an important aspect in the Portuguese society, with football such as the most popular sport. 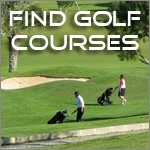 For tourists golf is the sport which one associates with Portugal. There are a lot of excellent golf courses in Portugal, particularly in the Algarve where one can make a beautiful combination from ocean views, sunshine and an 18 hole. Another reason to visit Portugal is that it seems to be much cheaper than other places in northern Europe. Here you can you still dine in style for € 20,00 and find accommodations for less than that you paid for dinner! Flights to Faro, become more cheaper then more expensive, because of the price war between the large flying companies and the budget flying companies. This combined with 300 days of sun which some areas obtain each year, turn Portugal really into the ideal spot for a holiday, irrespective of how long you will remain here.